Vitamin D’s “sunshine” nickname is a bit ironic, though, considering the important role it plays in an area of our bodies where the sun never shines – deep down in our gut, which at any given time is occupied by billions of bacteria that play a vital role in various areas of our health. This includes digestion and our immune system. In a sense, vitamin D and probiotics work in tandem when it comes to maintaining a healthy gut microbiota composition in our bodies. In fact, as shown by recent research, gut colonization – think of bacteria, “good” and “bad,” taking up residence in our intestinal tracts – plays an important role when it comes to promoting and maintaining a balanced immune response early in our lives, per the National Institutes of Health (NIH). Furthermore, a gut microbiota composition that is less diverse or somehow has been altered has been linked to obesity and atopic diseases (the childhood diseases asthma, allergic rhinitis and atopic dermatitis) that can have lasting effects into adulthood. 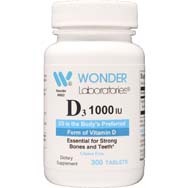 A shortage of vitamin D in our bodies – more commonly referred to as a vitamin D deficiency – has been linked to early-life wheeze, reduced asthma control, allergic diseases and increased body mass index (i.e., obesity). In this regard, vitamin D draws a close comparison to gut microbiota; both have been pegged as directly involved in early-life exposures to asthma and obesity, although it remains unclear if a vitamin D deficiency influences the intestinal microbiota’s composition itself. However, studies have demonstrated that a host’s vitamin D status could alter the gut microbiota’s effect on the immune system. Research with mice has shown that the absence of the vitamin D receptor (VDR) is accompanied by chronic, albeit low-grade inflammation, in the mice’s gastrointestinal tract. In summary, per NIH, recent scientific data seem to say that varied gut colonization early in life, as opposed to a specific microbial strain or strains, plays a significant role in the normal development of our immune system. 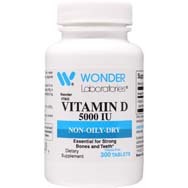 As for vitamin D, its immune modulator properties – which have the capacity to restrain infections as well as inflammation, per NIH – may be influential in shaping early-gut microbiota. 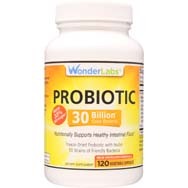 Probiotics play a role in that as well – very much so. 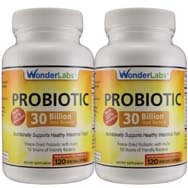 Probiotics are ingestible live bacteria and yeasts – stay with us on this one; it’s not as bad as it sounds – that are good for our health, especially our digestive system, per webmd.com. Just like there is good and bad cholesterol, there is good and bad bacteria, and probiotics – just as the name implies -- are good bacteria in that they help keep our gut healthy. Probiotics can be found in our bodies, naturally, although they also are found in some foods as well as in various supplements growing in popularity among the public. 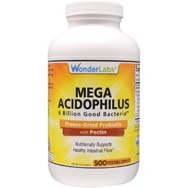 The two best-known types of probiotics are lactobacillus and bifidobacterium. Here’s the kicker about probiotics most pertinent to this article: new research, per dailymail.co.uk, posits that probiotic supplements can help boost vitamin D levels! A study referenced by the Daily Mail found that ingesting a probiotic supplement – presumably with consistent use over time – increased levels of vitamin D by 25 percent. Note, too, when we talk about vitamin D deficiency, we aren’t just talking about asthma, allergies and obesity – it also has been linked to rickets in children and osteoporosis in adults, with vitamin D known for helping in the absorption of calcium by our bones.